Are you one of those people that’s addicted to checking their stats and follower count of their social media accounts on their phone every five minutes? I plead guilty! 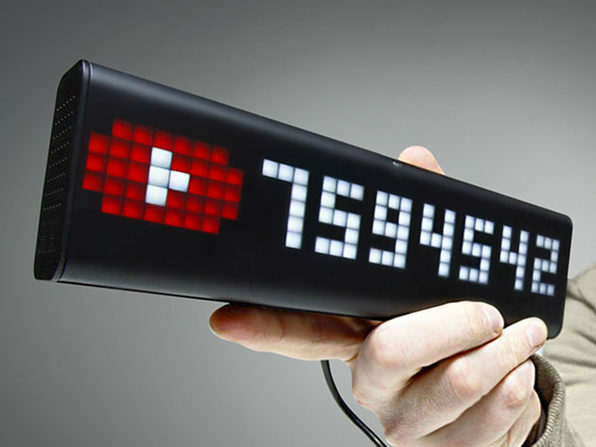 The Lametric Time device brings a more convenient way to continuously check up on your Instagram, Facebook or YouTube followers. It’s a smart desktop clock display that hooks up to the internet to show a live counter of your fans and following from your favorite apps. What is the Lametric Time? 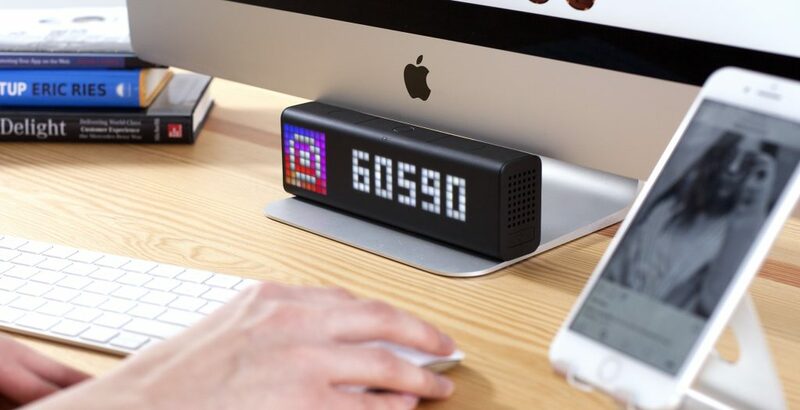 Originally a smart clock display, this smart LED block connects to several of your favorite apps and social networks to display the single metric you care about. Next to setting it up with your YouTube, Instagram or Twitter follower count you can have the Lametric show incoming earnings on Paypal, a news feed of your choosing or any custom messages and LED icons you want to put up for display. The possibilities are near endless. You’ll just have to plug in the Lametric time, connect it to Wifi and use the associated app to set up the connections and messages. You’ll never have to take out your phone again for checking the info that matters. The Lametric Time also has some onboard speakers, to play notification sounds and radio. Yes, this device can still be a regular clock radio if you want to. Where can I buy the Lametric Wifi Clock? 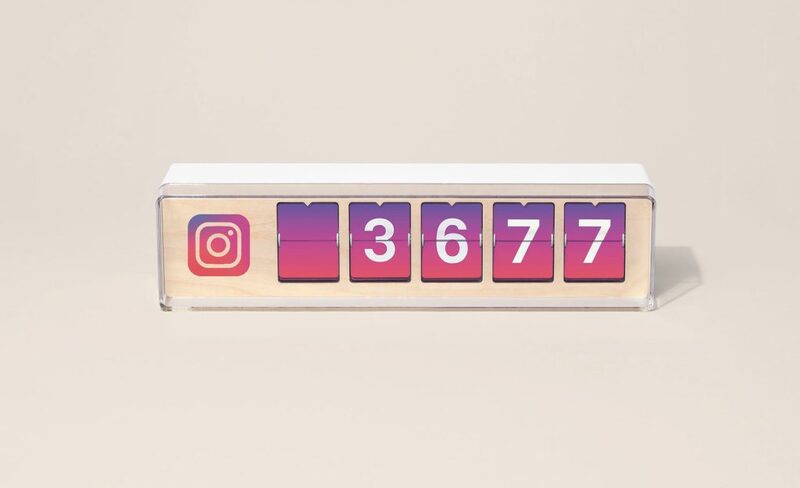 The Lametric smart LED clock is a great product for social media lovers and influencers, storefronts or small startup companies that want to visually celebrate success in the offices. You can buy the product on https://lametric.com/ or Amazon via the link below. Always get precise time and show your difference with thousands of clock faces. NOTE: Kindly refer the user manual before usage of the product. The Lametric Wifi Smart clock is a very cleverly designed device, but it’s not the only one of its kind out there. 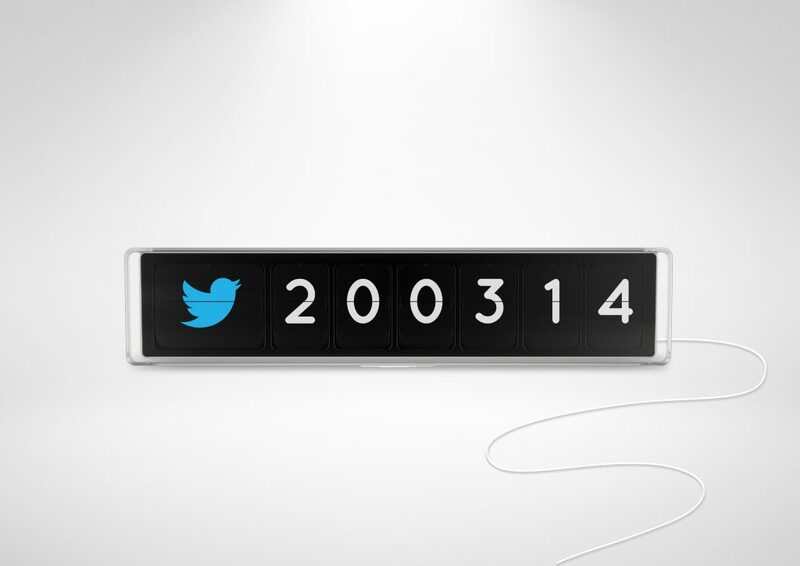 There are a couple of alternatives we found for you if you’re keen on having a hardware social media counter. The Smiirl is a more expensive social following counter, but it has a traditional split-flap mechanism instead of LED, which puts it +10 hipster over the Lametric. It will probably blend better in store interiors. You’ll have to get one for each social network you want to connect to though.